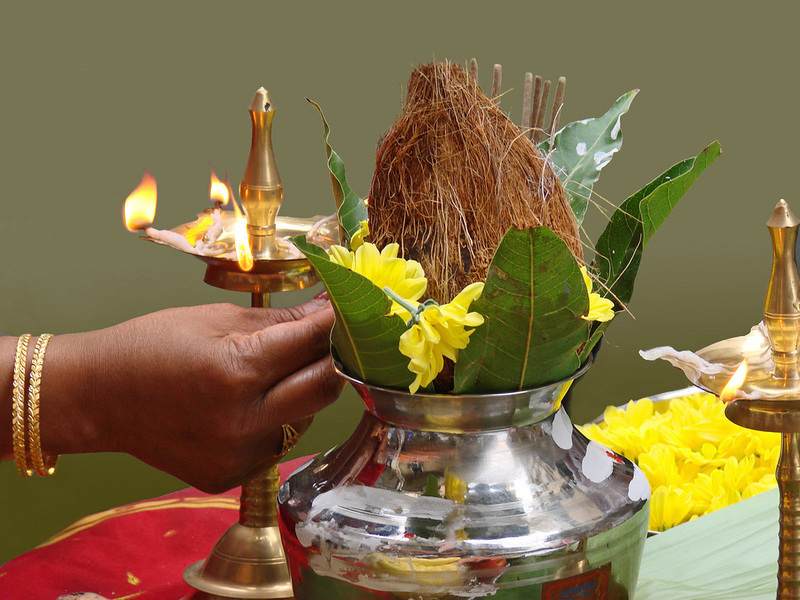 Why do we use Coconuts in Hindu Rituals ? Why do we use coconuts? Coconuts are a really fun fruit. They are full of all kinds of layers and therefore full of great symbolic meaning. In puja we use a coconut as a head for a Deity, we sometimes use them to represent the universe and worship them as the world. We also interpret them as a heart with an ego (hard on the outside and soft and sweet on the inside), and then they are great to break when inaugurating new cars and entering new homes and businesses. They are like breaking a bottle of champagne. The fruit on the inside is not only good to eat it is also good to burn when it is dried for havans. We love coconuts.